Here we have a picture of the civic square shops in Tilbury. 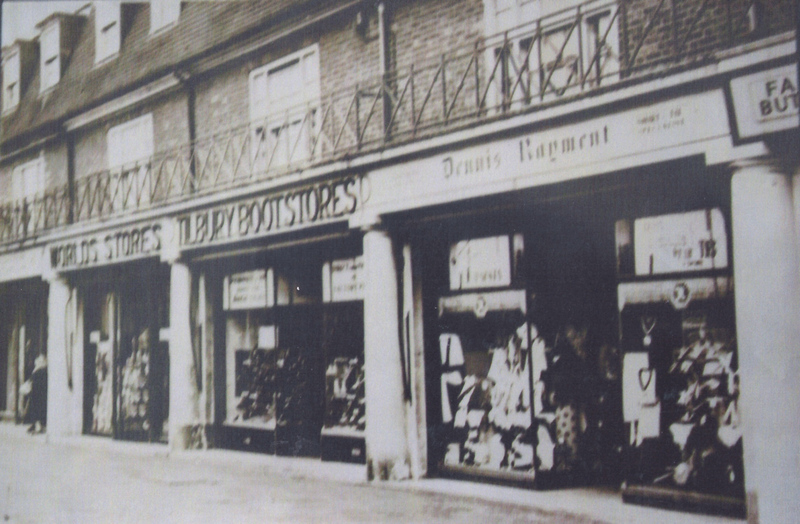 It looks like it was taken around the 1950s -1960s, most Tilbury people of that time would have shopped there, and would have been as busy then as it is today. Regarding the butchers shop, it employed two butchers and two delivery boys who used cycles with large baskets on the front. Deliveries were made to Tilbury Town, Chadwell St Mary and West Tilbury Village. Next door was a gents hairdressers on one side and a gents outfitters on the other. 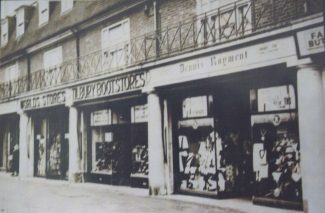 I remember the shop well and George Gunning who worked in the shop and lived in Arkright Road. I was born in the flat above the shop.